As CEO, David Downey brings a tremendous depth of cable television industry experience to INVIDI. His almost 40 years of experience includes cable operations, new media technologies, television advertising and start-up management. Dave has worked with the U.S.’s largest advertising agencies on targeted television advertising and was instrumental in securing support from both WPP and Starcom. More recently, he led the sale of INVIDI to AT&T, DISH and WPP. As founder and president of AMN, the U.S.’s first computer television network, he deployed to 5.5 million subscribers in 116 markets including Comcast, Charter, Adelphia, and AT&T. At Triax Communications, Downey served as senior vice president responsible for franchising, marketing, programming, sales, advertising, and public relations. As an inductee into the Cable Television Pioneers Class of 2012, Downey has been involved with the launch or growth of many successful enterprises and now brings his leadership and vision to INVIDI Technologies. Bruce Anderson is a widely-known expert in digital video technology and has developed key patents in the industry. Bruce and the INVIDI team were awarded with a Technical Emmy® in early 2017. Prior to Joining INVIDI in 2001, Anderson was Vice President of Broadcast Products at DIVA, then the leading provider of video on demand. Anderson’s experience includes ten years at Sarnoff as Managing Director of Digital Television and Entertainment, where he focused on the design and development of digital video systems. Anderson was part of a senior team that developed the ATSC Digital Television Standard, DIRECTV and DIVA. He also managed an intellectual property portfolio valued in excess of $200 million. Three of the projects Anderson managed led to Technical. Emmy® Awards for Sarnoff. Chris O’Toole has over 25 years of finance and administration experience, primarily in the cable and media sectors. 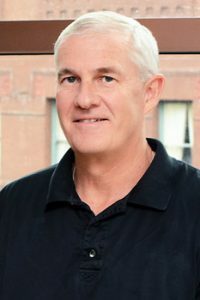 Prior to joining INVIDI, Mr. O’Toole spent four years as Senior Vice President and CFO of On Command Corporation (a 100%-owned subsidiary of Liberty Media Corporation until sold to Lodgenet Interactive Corporation in 2007) and was responsible for all financial, information technology, human resources and risk management activities. While at On Command, Mr. O’Toole sat on the Board of Directors and, for a period of time, was Acting President of The Hotel Networks, which sells advertising delivered through a private network to “free-to-guest” channels targeted to the hotel’s demographics. Prior to working for On Command, Mr. O’Toole was the CFO and Vice President of Triax Telecommunications Corporation. At Triax, Mr. O’Toole was responsible for lending and investor relationships, as well as all finance and administrative activities. Mr. O’Toole started his career with KPMG (formally Peat Marwick) and he is a Certified Public Accountant. A 30-year veteran of the media industry, Michael Kubin was originally a member of INVIDI’s Board of Directors and joined the operating side three years later as the Executive VP, Media. He acts as the evangelist for addressable television to agencies and advertisers to get them to adopt addressable television as part of their media plans, and is involved in the company’s global expansion, in particular to Latin America and Europe. Kubin has managed a significant string of successful entrepreneurial ventures. At his first media buying company, Corinthian Media Buying, Kubin was integral in the creation and growth of its direct response subsidiary, Corinthian Direct, which grew to over $100 million in billings in just three years. After Corinthian, Kubin became president of Club Med Inc., the travel company’s U.S. subsidiary. Dan Wilson has more than 25 years of experience in technology management and complex software development. Before joining INVIDI, he was Vice President of Precise Systems Corporation, a developer of software and provider of consulting services for large-scale litigation support. Most of Precise’s customers were engaged in very large IP litigation. Prior to that, Wilson was a founder of Myrias Research Corporation, a developer of scientific parallel computers under contract with the American and Canadian Departments of Defense. Mike has been working with Digital Television systems for over 15 years including both the picture in picture and High Definition system at Philips. 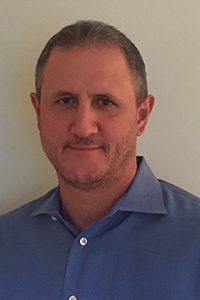 Mike was CEO of Philadelphia Real Time, a digital video engineering consulting company, for four years where he worked with Diva Systems, General Instrument and Ravisent Technologies. As the founder of MAP Associates, he built a consulting practice from its infancy to be a respected supplier of several F100 companies including Verizon, Sprint, IBM, and Motorola. Prior to starting MAP, Howard ran the telecommunications and channels of distribution practices for RONIN Corporation. In addition to his consulting experience, Howard has worked for Intel’s systems division and startup ventures in communications. Howard graduated from Princeton University with a BSEE. Edward Thorn has over 30 years’ experience in cable television and related technologies dating back to the 1980s, when he worked in system sales and marketing for MSOs in California and Texas. After Thorn built the first Latin American cable television system in Santo Domingo, Dominican Republic, he founded Cable Properties Inc., an advisory firm specializing in M&A. Over more than 25 years, this firm was involved in hundreds of transactions in the U.S., Latin American, and European cable television markets. In 1997, he was a founding partner of WorldPort Communications Inc., which was awarded the second global license for telephony in the Netherlands. WorldPort was subsequently sold to Energis, a UK utility. Thorn was also involved in launching the first competitive local exchange carrier (CLEC) in Latin America, in Santiago, Chile. The company was later sold to AT&T Latin America. Dan Carella most recently served as Senior Vice President of Strategic Planning and Operations for Freewheel, A Comcast Company. During his 11 years at Comcast, he developed new Advertising-related businesses and products not just for Comcast but for the broader advertising ecosystem via the development and execution of multiple strategic planning initiatives. Prior to joining Comcast, he worked for Primedia Inc. overseeing multiple brands covering the Automotive, Action Sports and Outdoor Sports genres. Earlier in his career he worked for The Walt Disney Company, Sony Pictures Entertainment, Nielsen Media Research and began his career at All-American Television Distribution Co.
Dan holds a B.S. in Environmental Economics from The University of Vermont and a M.B.A. specializing in Finance and Real Estate from Villanova University. Dan (a lifelong Manchester United fan), his wife Heather, and their two children, reside in Wayne, PA. Contact Dan by email at dcarella@invidi.com. Ronald Gravino currently serves as SVP Finance and Human Resources for INVIDI. Prior to joining INVIDI, he was a financial and management consultant in private practice for over 15 years, specializing in start-up ventures and turnaround management, where he has held many interim CFO positions for developing companies. Previously, Gravino was CFO for Squibb-Novo Inc., an international pharmaceutical joint venture between Squibb Corporation and Novo Industri A/S of Denmark.